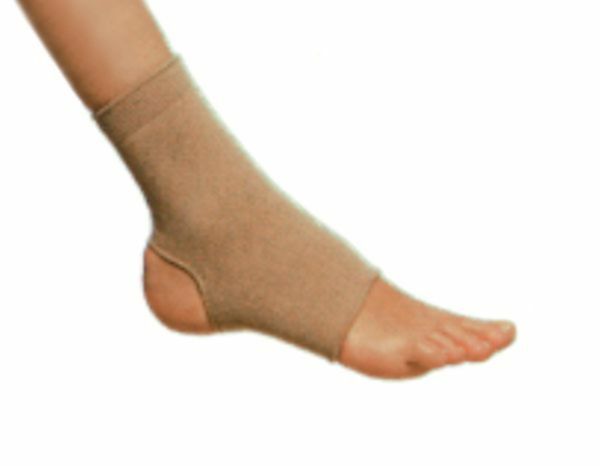 Elastic ankle support with open heel area. Size: 2 (18-21 cm), 3 (21-24 cm), 4 (24-27 cm), 5 (27-30 cm), 6 (30-33 cm), 7 (33-36 cm). Ankle circumference in cm.